Edinburgh in the 1930s. The Lennox family is having trouble with its youngest daughter. Esme is outspoken, unconventional and repeatedly embarrasses them in polite society. Something will have to be done. Just like The Secret Scripture, this book was unputdownable—and if only I had all the time in the world, I would have finished it in a few hours! Nevertheless, I finished it in one-and-a-half days. From the very first page, first paragraph and first sentence, it was as if this book has some magical power that held me in and before I knew it, I was lost in the story of Esme Lennox’s devastating circumstance and misfortune. The writing was commendable. It was different, not like anything I have read before. The first page really puts me into the situation and by the style of the writing, it was not very hard to conjure up the scene in my mind. And it definitely set the mood for what’s to come later. Maggie O’Farrell had not just written a beautiful story but an important one too. The story posed some issues of the past, particularly on society and the lack of opportunities for women. Individuals who did not conform to the stereotypical expectations may suffer the consequences and shunned away from the society. I was penned up with emotions, saddened and angered by the injustice that befell Esme. The Vanishing Act of Esme Lennox is a haunting tale about the extend of human jealousy and betrayal. I can’t recommend it enough! 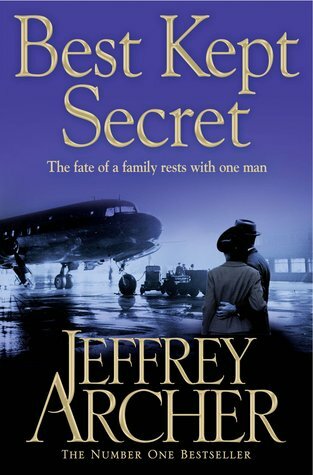 Family secrets usually make for great fiction. I like the opening quote. It really draws the reader in...very simple but telling. Definitely grabbed my attention, and I'm adding this one to my list. Great review.